Blog Guest..Jessica’s Thoughts And Tips On Holidays. Jessie The Blog Dog! Choosing Book Friends Names. Getting Started, How Did You? Jessie The Blog Dog- Have Your Character’s Ever Prompted You To Try Something That Your Character’s Have Done? About: Writer Katrina. M. Hart. Eliza Crisp And The Abominable Snow Company Author Julie McKay Virginie Degorgue. Enchanted Encounters Get Your Kiss on Route 66 Author Teresa Ives Lilly. Eve: A Christmas Ghost Story Author Shani Struthers. Fifty Shades Of Roxie Brown Author Lynda Renham. Great Books That Bring Comfort..
Marry Mistletoe (Kindle Single) Author Emma Davies. My Little Review Of I Stand Corrected by Patricia Asedegbega. Twenty Four Days To Christmas Author Fred Arthur. Review: The Mail Order Brides Deception by Ruth Ann Nordin. My Little Review Of Bones And Whispers By Catherine. G. Gault. Review of Windmills And Tulips by Deborah Allen. My Review Little Of Wish Upon A Star By Trisha Ashley. My Review of Auctumnalis (The Space Between Worlds) Author Parandus Gold. My Review of Until You Came Along Author Kshitij. My Review Of My Dutch Diary Deborah A Allen…. My Review of The Adventures of Shifting Jack By Denise Erguler. My Little Review Of When I Grow Up Author Patricia Asedegbega. My Interview With Author Patricia Asedegbega. Review Of Once Jilted by Ciara Gold. My Review Of Cross Academy Author Valicity Garris. Today I’m Interviewing Marie Campbell About Her Debut Novel Baby. Festive Poem, Santa Is Coming: written By Kirsty. Interview With Danielle Tara Evans Author of The Cleansing and Escalators. Interview With Anne Hamilton Author Of A Blonde Bengali Wife..
Interview With Balou About His Guide Balou Uncensored. Interview With Deborah Author Of Windmills And Tulips and her newest release My Dutch Diary…. Interview with Kshitij Author of Until You Came Along…. Welcome to Enchanting Other Worlds… Starting with Finding Destiny. Live Your Life as a Fairy Tale by Author Lillian Darnell. Lillian Darnell has always loved books. Even before she could read and as a toddler she slept with books in her crib instead of stuffed animals. 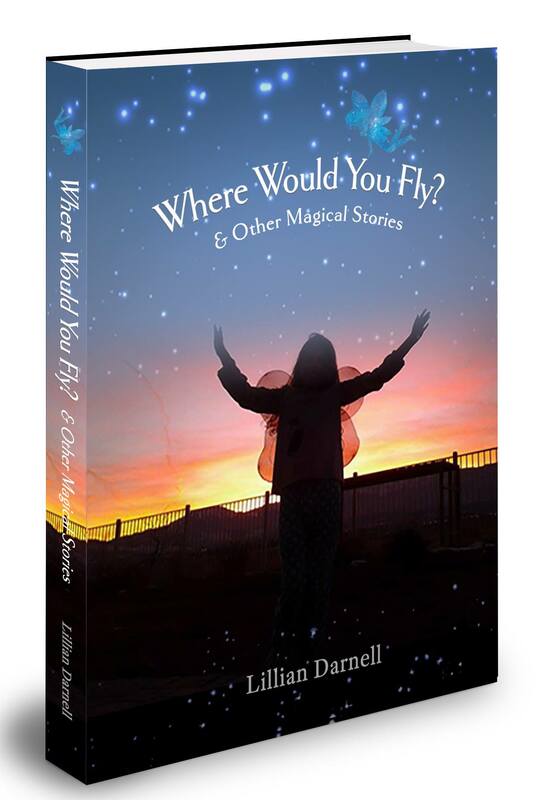 She is now 17 years old and her debut book, “Where Would You Fly and Other Magical Stories” was published January 2018. The collection of writings in the book were written by Lillian between the ages of four and fifteen. 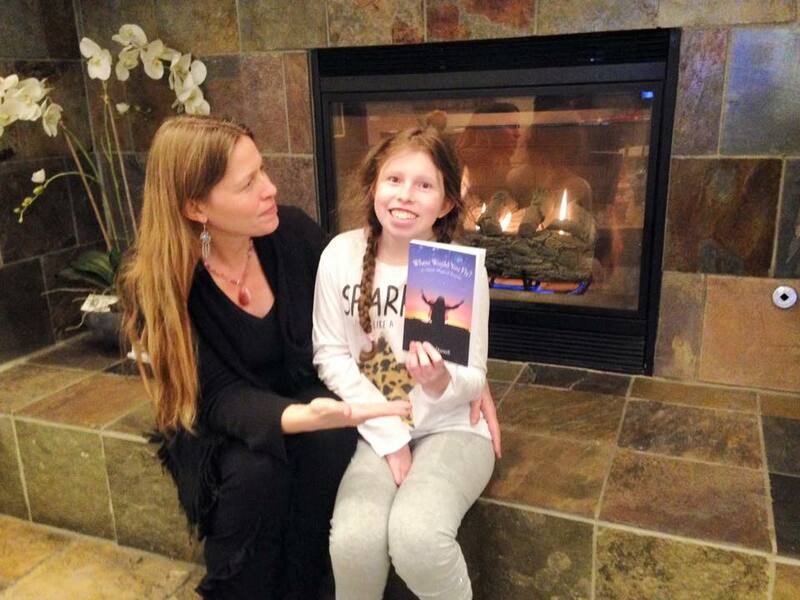 The published book is a fulfillment of a promise I made to Lillian many years ago. This is Lillian’s mother, Camilla Downs. I am deeply grateful to Katie for inviting us for a guest post! At the age of three, Lillian was delayed in more than three milestones, so we were referred for in-depth blood testing. She was diagnosed with 18p- and thus began an utterly different journey than I had envisioned; and which I wrote about in my first book, “D iz for Different – One Woman’s Journey to Acceptance”. The 18p- chromosome deletion affects 1 in every 56, 000 people. The number 18 represents the 18th chromosome and the p- means that she is missing the short arm of the 18th chromosome. These “arms” are what house our genetic coding. The most inhibiting effect of 18p- for Lillian is her ability to communicate. She simply cannot articulate letter sounds the way the rest of us are accustomed to hearing them pronounced. This causes much of her speech to be unintelligible. Other ways in which the deletion has affected her are irrational fears, anxiety, sensory issues, balance issues, low pain tolerance, and challenges with processing strong emotions and change. Lillian has always had difficulty processing change. Any change that deviates from what she expects, brings forth unwanted and uncomfortable feelings. Lillian struggles letting herself feel these emotions. When puberty began, this intensified with deepening irrational fears and violent outbursts. The struggles she had with processing emotions led to the “Emotions with Animals” section of the book. It takes a detour into a period of time that Lillian and I were working together using mindfulness and emotional connection. It was her idea to write these as blog posts, pairing animals with certain emotions. She did her own research, asking for my input with the concluding tips section. I describe the whole of the collected writings in her book as a fictional anthology of Lillian’s life and imagination to date. The imagination and creative process of one with a chromosome deletion and how she chooses to see our world. The stories and poems were mostly edited for spelling and grammar, yet the bulk of the stories remain as she originally wrote and published them; including a few grammatical errors and made up words. I did not want the essence of Lillian to be lost with extreme editing to make each sentence “proper”. Lillian is unschooled; which is similar to homeschooling and means that she focuses on her interests and talents with learning. This is her senior year and she’ll be graduating this June 2019! Lillian loves to draw, paint, read, write, track the weather, thoroughly research topics of interest to her, and she enjoys being in nature. She and I have a date day together once a month that began when she was a toddler. Also, as a family (along with Lillian’s younger sibling) we have a weekly movie night, usually on Saturday, that began when Lillian was a toddler. In 2009 I coined the phrase Team TLC for our family as we were going through struggles and I sensed we needed something that would bring us together. The T stands for Thomas (Lillian’s younger sibling), the L stands for Lillian, and the C stands for Camilla. The phrase really stuck with our family, friends, and supporters as ten years later we still get mail addressed to Team TLC. We even have a website where we share our life at TheTeamTLC.com. As Lillian’s mother, I knew deep within that being an artist was to be her path. I have done my best to support her artistic endeavors. I’m handing it over to Lillian now to share her own thoughts …. My inspirations for writing are nature, coloring, drawing, reading, something I catch myself saying, food, and holidays. Most times my writing flows through me like a river. Some of my favorite foods are French Fries, cheese (dairy and vegan – dairy bothers my stomach), dark chocolate, snickerdoodle cookies, chocolate cake, gluten free powdered donuts, and strawberries. I really enjoy volunteering at our local library one day a week and my family and I live in Reno, Nevada USA. Camilla Downs (my mother), Daisy Meadows, Helen Perelman, and L.M. Montgomery are the authors who inspire me a lot. I would like my readers to take away from my tales, legends, and poems to enjoy nature, be yourself, enjoy life, and enjoy reading as much as you can too. May you always live your life as if it’s your very own fairy tale. Because it is! So the girl quickly discovered she could use her mind and creativity to make everything. First, she designed Earth to look sparkly, clean, and rainbow colored. Second, she made other planets look like the colors of the rainbow. She went into Earth and saw she needed to make the moon and stars. So she made the moon look and taste like cheese. She made stars look like glitter. She made the sky look indigo when it was daytime. She exited Earth to put the blue colored sun near Earth. She entered Earth again and realized she needed to plant some plants. Luckily, she had some seeds in her pocket. She planted them. She added orange water to Earth to help the plants. She also needed rain. So she made red rain by circling her hand. She made green clouds too. As she spoke, she created all the other things humans needed. After that, she formed the first two people. She also cast a spell to make a child, and to make it grow. The humans were magenta. The animals were amazed at how quickly the humans formed and adapted. She thought she was done, but the voice spoke to her saying that she would have to use creativity, quick thinking, and more. So she tried casting a spell to make the years speed by but it didn’t go as planned. She made a makeshift bed and tried to get into her cozy home. That didn’t work so she tried to get the people and animals to help her. They saw a note on the palm tree. The girl was able to reach it. She realized it was a riddle. She realized all she had do was fall asleep. Before she fell asleep, she cast one final spell and it was the days of the week, months, and years. She fell asleep after that. There was a surprising jolt and she woke up. She was happy to find herself back in her bedroom. She couldn’t help thinking it was all a dream. Just then, a friendly voice explained that it wasn’t a dream. It was morning. She went to the kitchen to tell her parents the most amazing thing happened to her. Her parents explained to her she had a real vision. Years later, she grew up to become a beloved author. Her name was Morgana and she had been eleven-years-old when the amazing thing happened. She lived in Australia at the time. She loved the book “Anne of Green Gables.” She thought it described her life perfectly. Shadows are the darkness of day. Shadows are the eclipses of the day. Shadows are almost always there. Shadows are fast as a cheetah. Shadows are entertaining like a prism. Shadows are bright like a rainbow. Shadows are from the sun. Shadows are from the super moon. Shadows are from the bright stars. Shadows are awesome. Shadows appear everywhere at one point. Welcome to the radiant imagination of Lillian Darnell, a wonderful and unique human being, the kind who comes around only once in every 56,000 births, as she is missing the short arm of her 18th chromosome. Leave this reality behind and enter enchanted lands awash in mysteries, happy endings, adventures, and inspiration. Come within and discover heartwarming and beautiful tales, woven with love and magic, brought forth from the imagination of a young woman with a different perspective. Lose yourself in wondrous adventures as you follow courageous, enchanting characters, kind animals and plant life, and graceful Mother Nature. The delightful tales, legends, and poems within these pages were written by Lillian Darnell between the ages of four and fifteen. The stories and poems are mostly edited for spelling and grammar, yet the bulk of the stories remain as she originally wrote and published them to include a few grammatical errors and made up words. Will a girls dream of becoming a princess come true? How can sad, mischievous, fearful animals help humans feel emotions? How did the world come to have color? “You can’t help but feel happy and be inspired while reading this book. Lillian’s stories jump straight out of her heart and onto the pages in an authentic, innocent, and loving way. The world needs more positivity and happiness and her stories are bursting with both. Thank you Lillian!” -G. Brian Benson – Award-winning and best-selling author, actor and TEDx speaker. 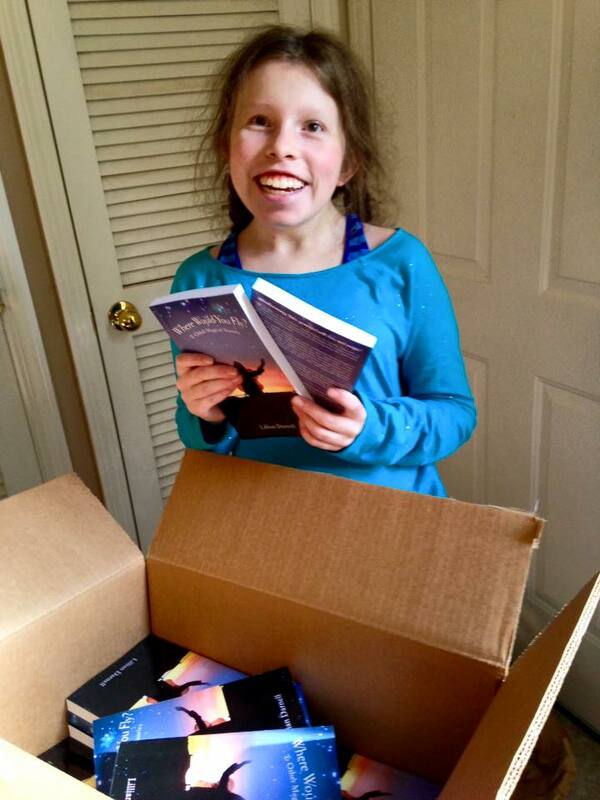 Lillian Darnell is a Nevada(USA)-based teenager with a significant chromosomal disorder. Darnell’s struggles with communicating led her to begin writing at the age of four specifically to put forth the imaginings and words which could not effectively be articulated with the spoken word. Darnell’s writings share a unique perspective of viewing the world with innocence, joy, and love. At the age of three, Darnell was delayed in more than three milestones and was referred for in depth blood testing. She was diagnosed with a condition named 18p-; which means she is missing the short arm of chromosome number 18. This condition occurs in 1 of every 56,000 births. Lillian Darnell is a homeschooled teenager who volunteers at the South Valleys Library once per week. 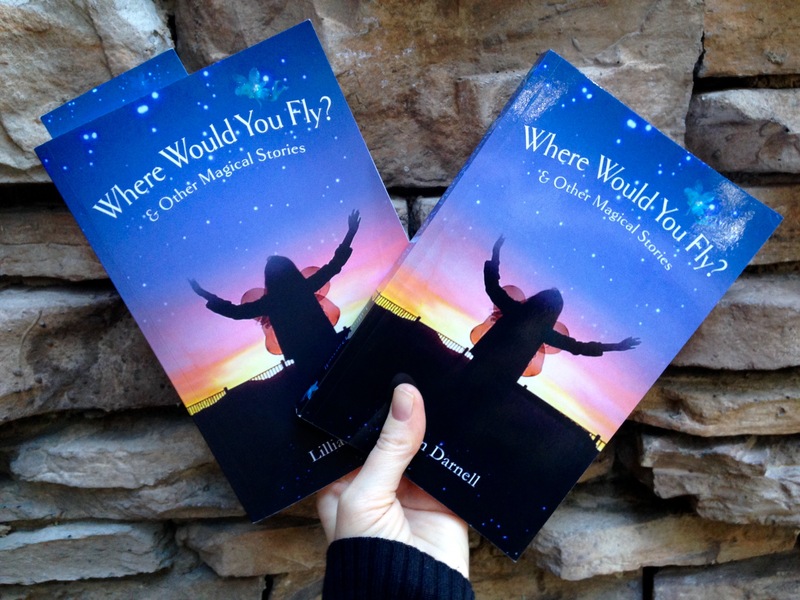 Her book, Where Would You Fly and Other Magical Stories, was published in January, 2018. The book offers Darnell’s radiant imagination as you leave this reality behind and enter enchanted lands awash in mysteries, happy endings, adventures, and inspiration. Finding Destiny Author Katrina Hart..
Finding Destiny link: buy the book here from Amazon! Finding Destiny Author Katrina Hart. Finding Destiny’s Audio Promo Video. Audrina Lane reads one of the chapters :“Lady of the Night” from my novel Finding Destiny in her lovely voice. Love In Little Snow (Novella) Out On Amazon. The Flower Angel Out Now On Amazon. Behind The Scenes of ‘The Inheritance’ Anne Allen. Giveaway from 12th September to 27th September. Finding Destiny Giveaway: Enter Here. Giveaway: Finding Destiny from 12th September to 27th September. Guest Writer’s And Their Stories. From the first moment, you feel something powerful. Whether it be the opposite of happiness, I channel all of that to my writing. Read. Write. Love.